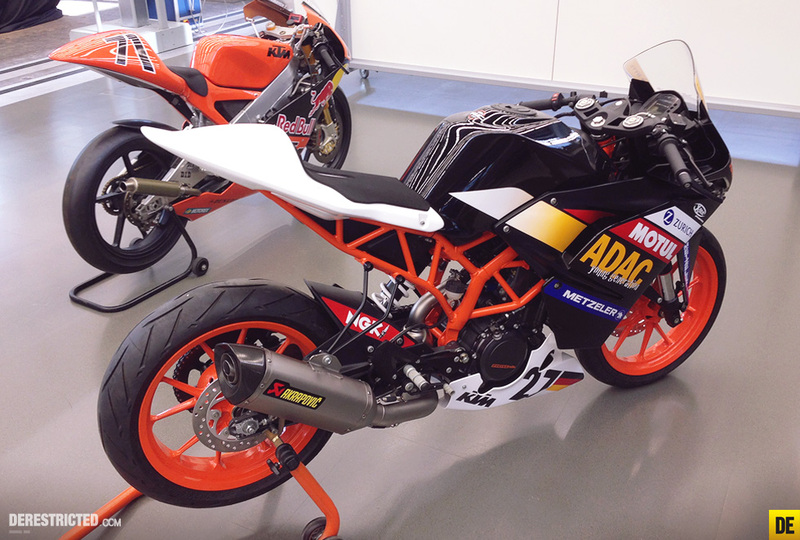 From 2014, the riders will race in the ADAC Junior Cup on the new KTM 390 RC Cup, produced in Mattighofen. Here you will find all the data. I took a load of photos of the bike in the Kiska studio too, which you can see here. I can’t string too many words together to describe that! Wow! 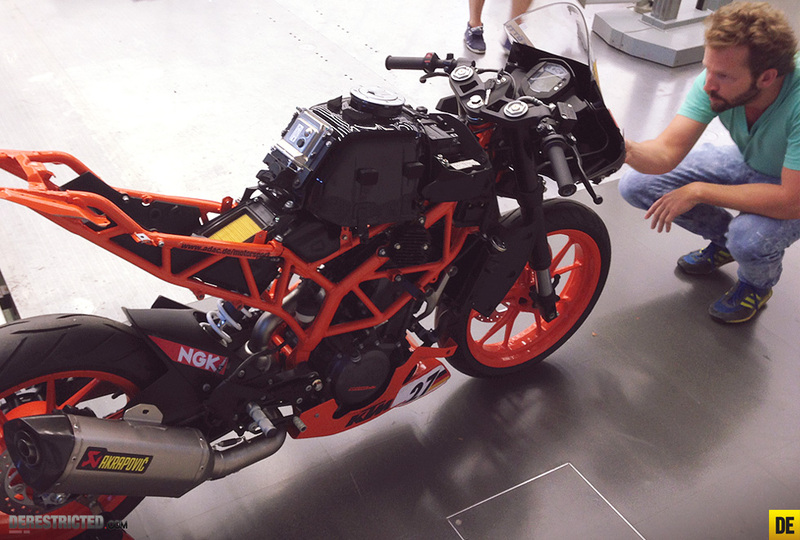 Since this would be sharing it's engine with the Duke 390, which bangs out 43bhp, I can't understand why the RC390 CUP manages only around 40!! Expecting to launch the akrapovic version getting launched in India asap and I will BUY. 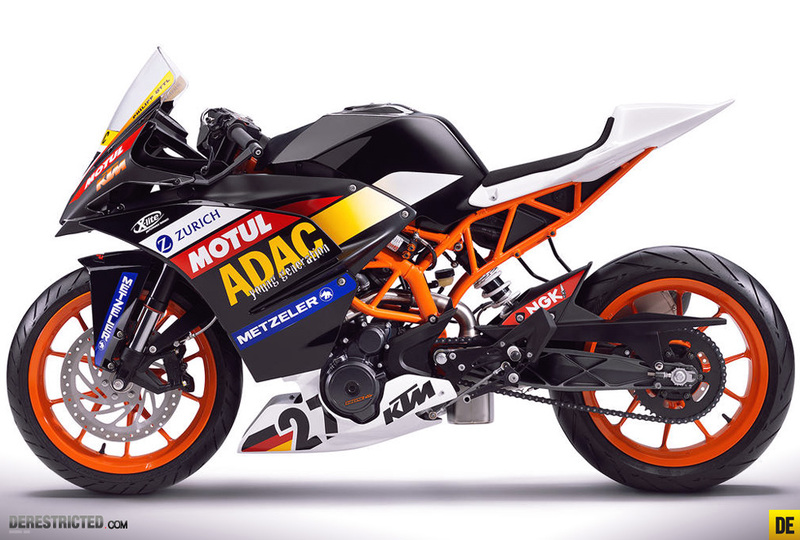 Can KTM please bring the RC390 over? 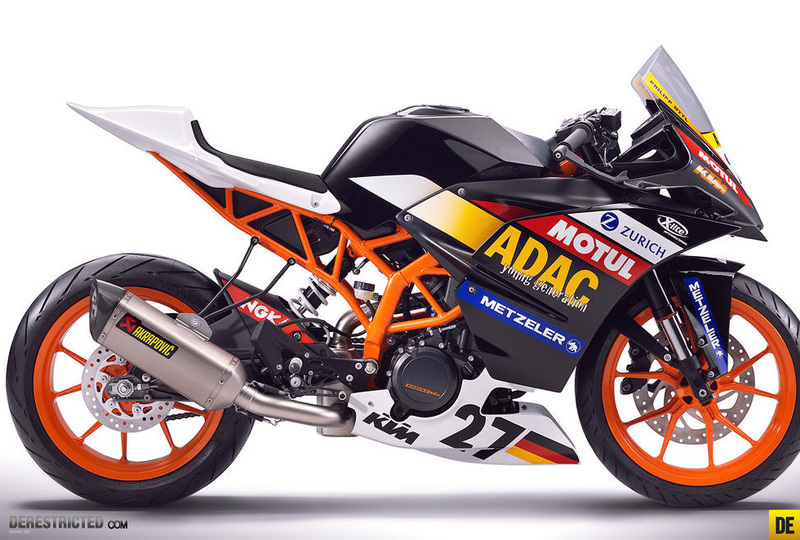 I would buy one over a ninja 300 or CBR250 in a heartbeat, but it simply isn't available. The demand exists, I assure you.